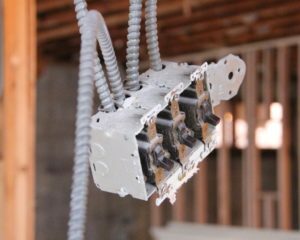 As an electrical contractor, most of our work is design build and most of our clients hire us because we did a great job for them before and they’d like for us to do it again. We’ve had a really successful run, and we owe much of that success to our great Project Management team. One of our managers is nearing retirement and we need to prepare for that day by hiring someone to work into that job…which is good timing, because we already have a great 2017 season lined up. This job posting is for a Sr. level electrical project manager. Our project managers take our projects from cradle to grave. Because our work is largely design build, it is not unusual for our managers to sketch up and design a solution to fit the situation; estimate the cost and write the change order. We don’t really have field superintendents, so you’ll work maybe 75% in the office and 25% in the field and often directly with our Foreman. Be called upon to negotiate for vendors, equipment, and with subcontractors. Be a hub of communication between Supervisors, coworkers and team members.